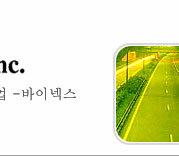 the initiative of Hi-tech engineering. 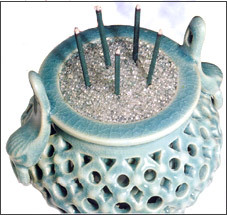 Incense burner is made from melted pure glass beads. 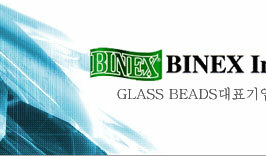 These glass beads are the substitute of sand or rice. 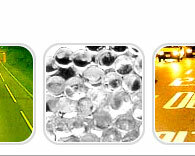 Glass is described as one of Buddha's seven treasures which decorate paradise. Seven treasures include gold, silver, tridachna gigas, agate, coral and pear in Buddhist scriptures. 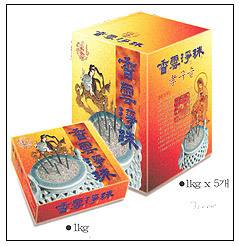 The incense can be easily put in Incense Beads. Also the beads are unbreakable and used permanently because they don't absorb moisture like rice and sand. The best benefit of Incense Beads is that they are helpful for health because they emit the ultrared rays at a certain temperature degree. Koryo celadon shows whimsical beauty of the plastic art of early 12th century. This work is not only graceful, but also proportionate to lotus leaves that are made to overlap each other around incense burner. The rabbit image used to support bottom accomplishes exquisite creation of elegant formative arts. You will be moved to admiration by esoteric color of celadon. The geographical origin of this work is hard to confirm, but the fragment of alike rabbit shape was found from Gangjin, Cholla-namdo. While this piece expresses elegant blue tint of celadon that is brought from Koryo Dynasty, it became beloved universally for generations. Due to its deep shade and rustic simplicity, people often stand in owe and exclamation. This work is one of the international cultural heritance and is keeping artistic beauty of our ancestor in its silent color. 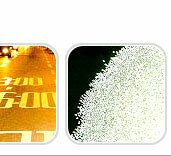 Its pure-white color gives a peace of mind to the beholder.